The stocks of several solar power companies have performed very well this year. Top performing stocks in this sector include the stocks of First Solar Inc., (FSLR) which is up 95.05% year-to-date. SunPower Corp. (SPWR) is up by a whopping 450.71%. JinkoSolar Holding Co. Ltd. (JKS) is up 397.75 for the same period while Canadian Solar Inc. (CSIQ) is up 790.59%. NASDAQ’s StreetAuthority identified hurdles the industry was able to overcome last year. One was the boom in capacity which prompted prices to drop rapidly. The price drops led to the bankruptcy of weak players in the industry, which caused a slowdown in capacity growth that allowed demand to catch up. Unfortunately for the industry, gas prices have also fallen so the solar industry missed out on the opportunity to see greater demand. Last month, First Solar announced that it will invest $100 million in Japan. The company said they will partner with local companies to develop, construct, and operate solar power plants. Japan has made it its policy to turn to other sources of energy like solar power and wind power since the Fukushima disaster. Japan shut off most of its nuclear power plants after the disaster. Nuclear power supplied 30% of the nation’s electricity. 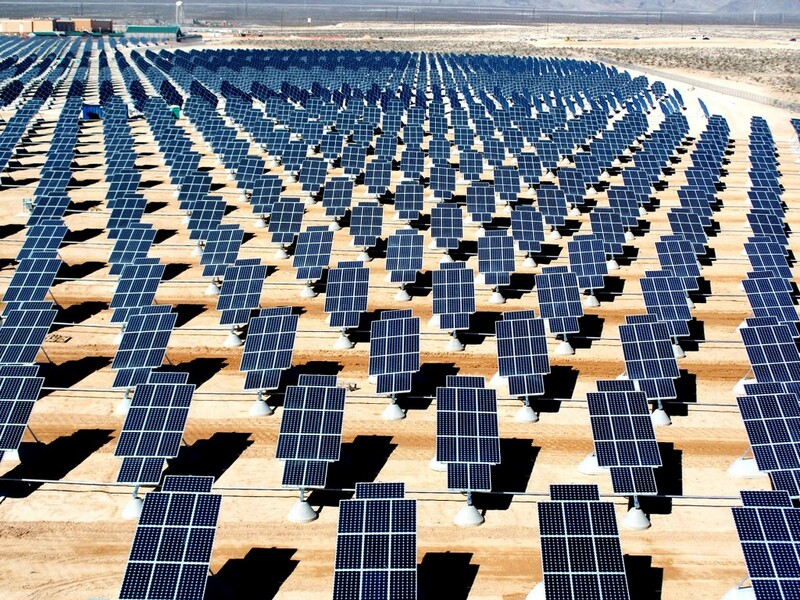 First Solar announced net sales of $1.3 billion in the third quarter of 2013. Japan has been an attractive market for many solar companies due to its pro-renewable energy policy. SunPower is also making its presence felt overseas. SunPower announced that the company is expected to provide engineering, procurement, and construction services for an 86 megawatt-peak (MWp) solar power project in South Africa. Total S.A. was selected as the preferred bidder for the project. Raina Sharma of The Street rated SunPower’s stock as a “hold” due to the company’s poor overall profit margins. Sharma did note that SunPower showed strength in terms of revenue growth and earnings per share growth but its poor profit margins overshadowed those strengths. Guelph-Ontario based Canadian Solar is one of the top performing solar stocks this year. The company recently announced that the National Bank of Canada is extending a C$35 million short-term loan to Canadian Solar. The loan will be used to finance Canadian Solar’s projects in Ontario. PV-Magazine cited an investment note from Deutsche Bank that predicts that photovoltaic capacity in the U.S. will reach 50 GW by the end of 2016. Deutsche Bank is also predicting that the annual market will reach 12 GW in 2015 and 16 GW a year after. The investment note also said that solar has already achieved grid parity in Hawaii and California along with eight other states. SPV Market Research’s Paula Mints was also cited in the same article as saying that the large PV projects that are being installed in the U.S. have been in development for years and that the same level of demand could not be counted on in the future. Mints also notes that the residential market for solar has been slowing down lately. About the author: Gilbert Bermudez writes for CompareHero, Malaysia’s leading bank card comparison website. Loves fishing, swimming and a hobbyist. You can follow his activity on his Google+ and Twitter. Disclosure: The author has no positions in any stocks mentioned, and has no plans to initiate any positions within the next 72 hours. The author also has no business relationship with any company whose stocks have been mentioned here.